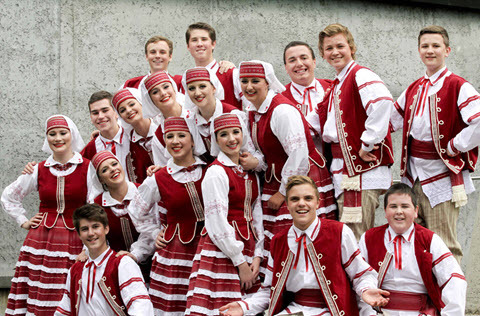 For 50 years, the Ukrainian Youth Association in Melbourne’s Dance Ensemble Verchovyna, has been a dynamic example of community building. Here, hundreds of young people of Ukrainian heritage have cultivated ties to the Ukrainian community under the mentorship of volunteers who have taught them Ukrainian dance- arguably the most recognised national art form of Ukraine. Verchovyna have captivated audiences not only on many stages throughout Australia but also internationally across Canada, Thailand and Ukraine with their innovative and energetic performances. A collaboration of rhythmic folkloric music, colourful costumes, unique choreography both elegant and athletic; there is truly a passion for dance that lives in Verchovyna’s dedicated spirit. Our continued success is ultimately our endurance in showcasing the traditions of our rich Ukrainian heritage. Incorporating and showcasing repertoires from various regions of Ukraine, Verchovyna Ukrainian Dance Ensemble are available to perform at Weddings, Corporate Functions, Festivals, Community and Cultural Events. We are proud to have hundreds of members in our Alumni. Verchovyna have been performing for almost 50 years. This is our History. and a Banquet on Sunday 16th October. If you’re interested in enrolling your child into Verchovyna Ukrainian Dance Ensemble, or if you would like to enquire about a booking for an upcoming function or event.